This shop has been compensated by Collective Bias, Inc. and its advertiser. All opinions are mine alone. #NightOfTheBat #UnmaskYourSpirit #CollectiveBias The following content is intended for readers who are 21 or older. 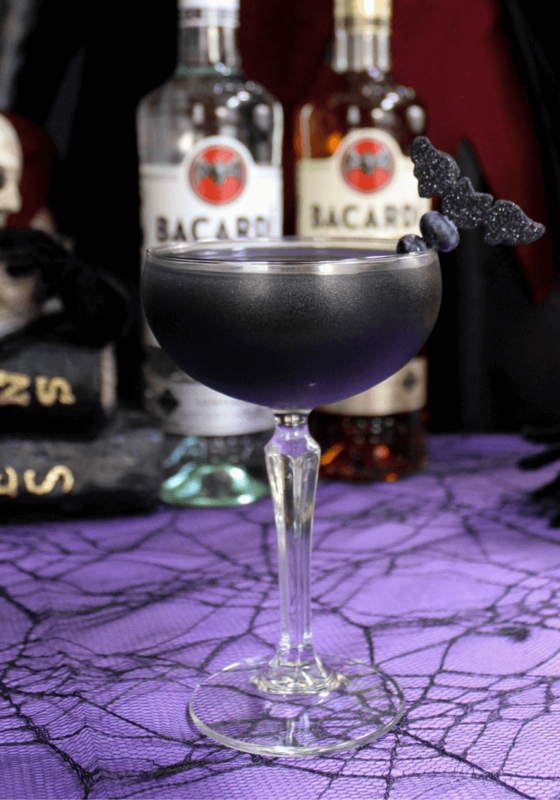 Black As Your Soul is a fun Halloween Cocktail made with lemonade, Bacardi Gold and a pinch of activated charcoal for a spooky-good party drink served in a coupe cocktail glass. Halloween is always a big event around here. The husband and myself enjoy having an adult night out with friends to celebrate. We don’t get out much after having kids so it is kind of big deal when we have the opportunity. 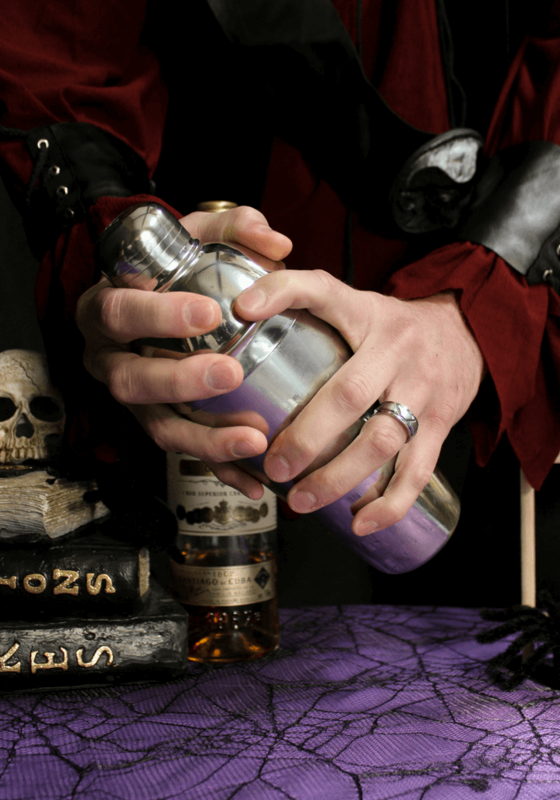 Since we hosted the Halloween festivities this year, there were a lot of items that needed to be checked off on that ‘to-do’ list, starting with the spirits! 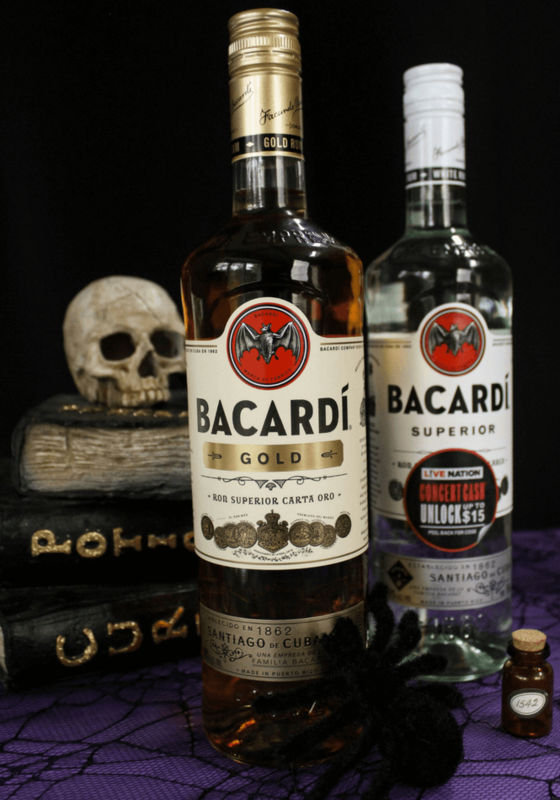 The mark of the “bat” is also the mark of Halloween so Bacardi Gold and Superior were my obvious spirit selections. 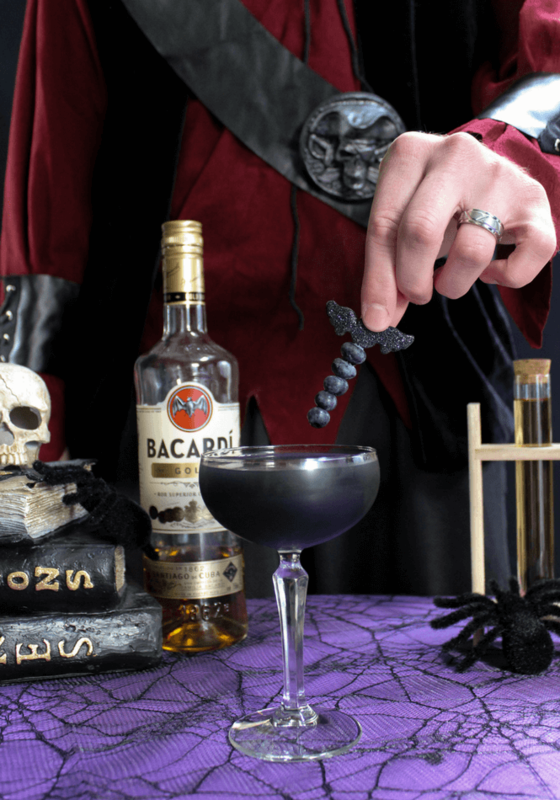 Bacardi are also fantastic spirits for simple drink solutions that will impress the guests and make this Halloween party epic. Party decorations are an area that I more often than not go a bit overboard with. I can’t help it! However, you truly only need a few items to make your party look and feel amazing. Some Halloween table liners and a few decorations are it. Hang some bats, place fake spiders throughout the party area and consider one special touch. Also, keep in mind that your party guests will be in costume and be part of the décor and be bringing that edgy vibe. My special touch today is the chemistry set. Test tubes and beakers are used so my friends can all play “crazy chemist” behind the bar to mix their drinks. Simple but loads of fun for everyone. Let’s get in that crazy chemist spirit and start mixing our drinks! Prepare a large batch of lemonade or buy it premade, whichever you prefer. Pour the lemonade into a large beaker and make sure you leave enough to the side to refill. 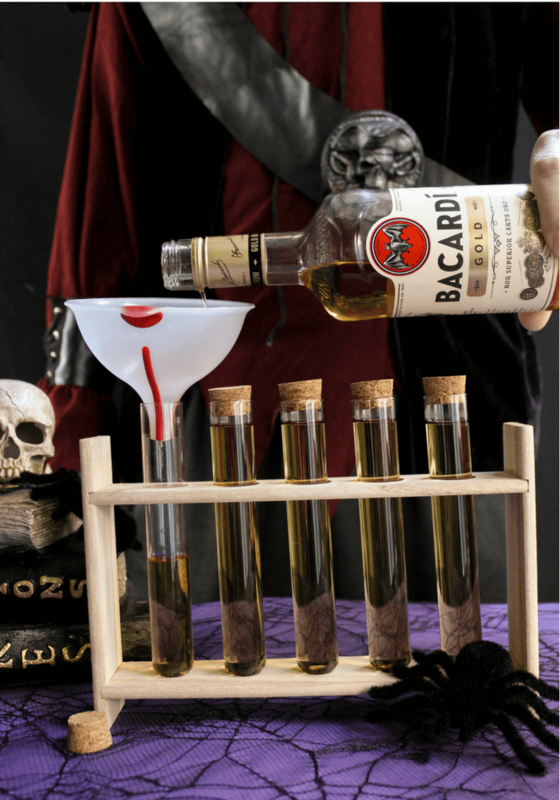 Pour Bacardi Gold into test tubes for guests to use while mixing their drink. Place activated charcoal into a little pharmacy bottle. We found some neat ones at the craft store and put a #1542 sticker. Then, wash the blueberries and make the garnishes using blueberries on a toothpick with a sparkling bat on top to bring in a little glam. Set up your bar area with the test tubes, Bacardi Gold and Superior bottles, beaker of lemonade, activated charcoal, ice, cocktail shaker, glassware and the garnishes. Black As Your Soul is just a clever name we came up with for our guests. 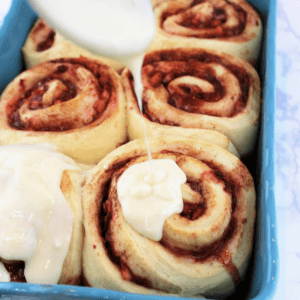 Take it a step further and also name the ingredients to follow the theme. Activated charcoal becomes crushed batwings, the Bacardi Gold is poison and the lemonade is werewolf pee… because it makes people laugh and kick starts conversation. 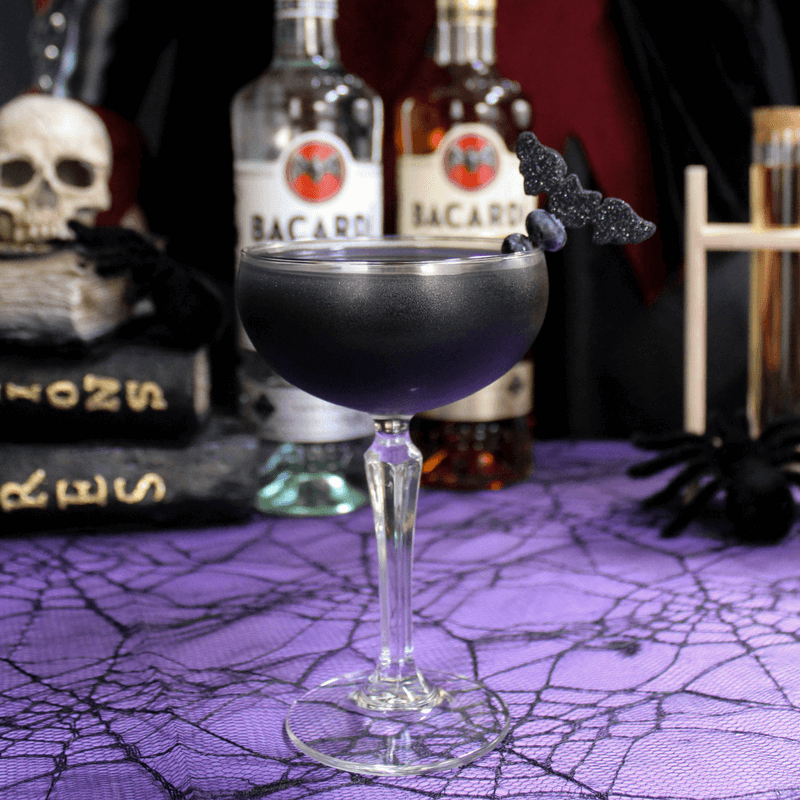 Black As Your Soul is a fun Halloween Cocktail made with lemonade, Bacardi Gold and a pinch of activated charcoal for a spooky-good party drink. Pour 50 mL Bacardi Gold into a beaker (or cup). Pour 200 mL lemonade in with a sprinkle of activated charcoal. 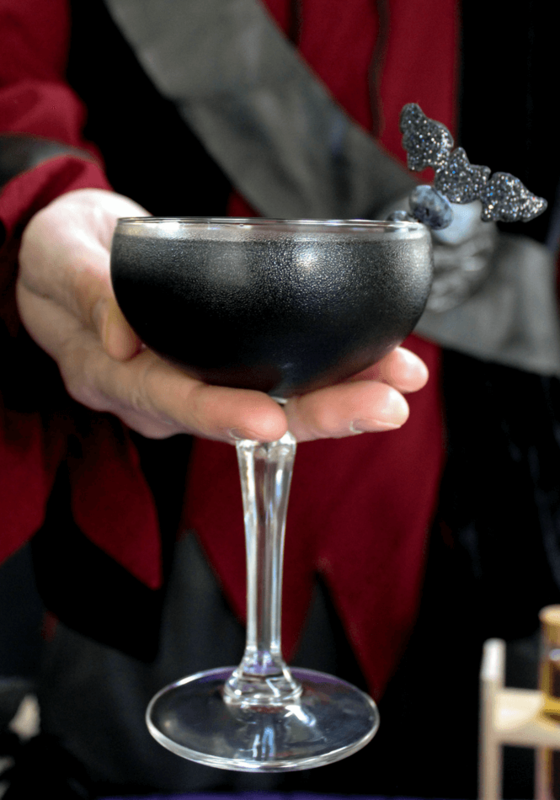 Place ice into a cocktail shaker, along with the Black As Your Soul mixture, cover with top and shake well. Strain into a Coupe cocktail glass. Garnish (Place a sparkling bat sticker on a toothpick and fill toothpick with fresh blueberries). Keep the drinks and snacks simple and uncomplicated. Prepare everything before guests arrive. 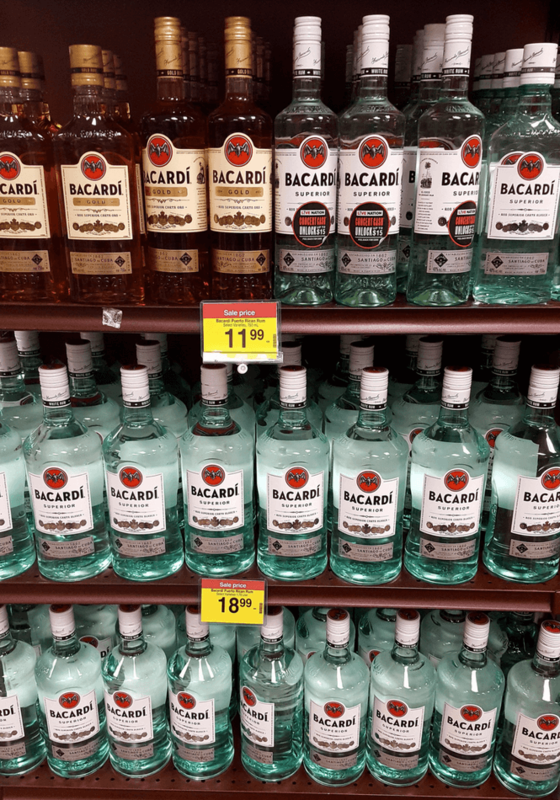 Make sure there is plenty of ice, Bacardi Rum, clean glasses, place the activated charcoal into the pharmacy bottle, mix plenty of lemonade and have all the blueberry garnishes completed. 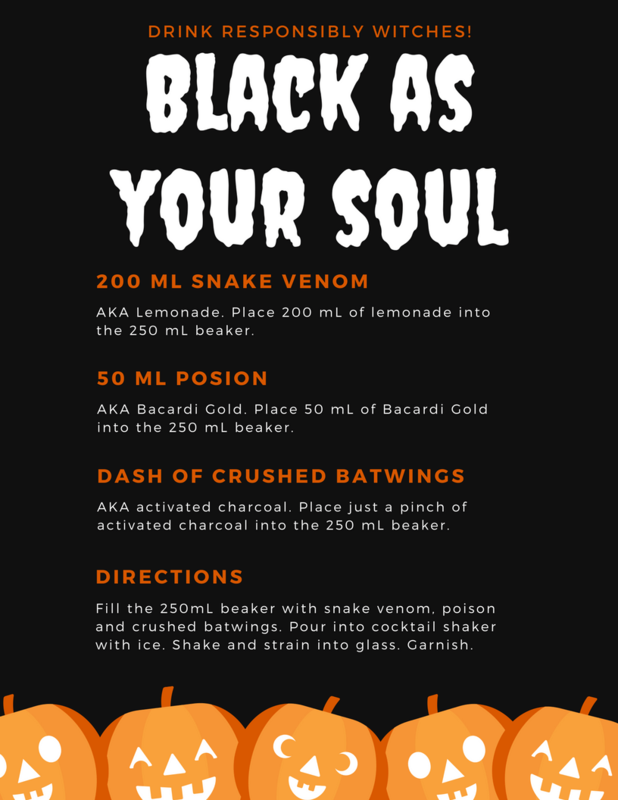 Place a sign out or write on a small chalkboard with instructions of the parties signature drink, Black as Your Soul, so everyone can mix their own. Have the bar, the eating area, the dance area and photo areas all clearly marked. Your guests should walk in and know exactly where to go for a drink or food to make them feel invited and comfortable. Also direct them to where the restroom and smoking areas are. Click HERE for a free printable for Dark As Your Soul. Bring out the “bat” in your guests and transform the night with an extra spirited evening with Bacardi. This is so creative and fun! These pictures look amazing. Thanks Kristi. We really enjoyed creating this cocktail. This looks very tasty and festive! I like your hosting tips as well! This is a fun cocktail for a party! 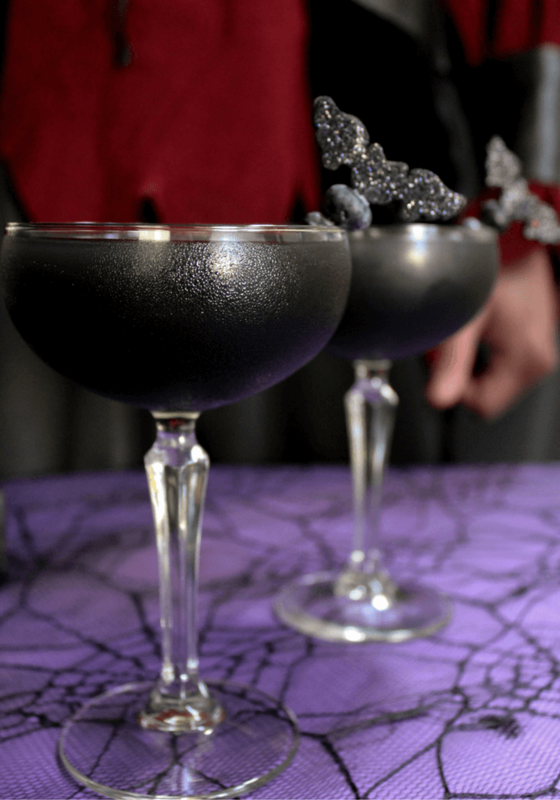 The black color of the drink is a spooky showstopper! Um. Yes please! This looks delicious. I love Halloween theme drinks. It makes the holiday so much more festive. <3 Also, great name. I love Halloween. It is so fun to play around with a cool theme for a party.